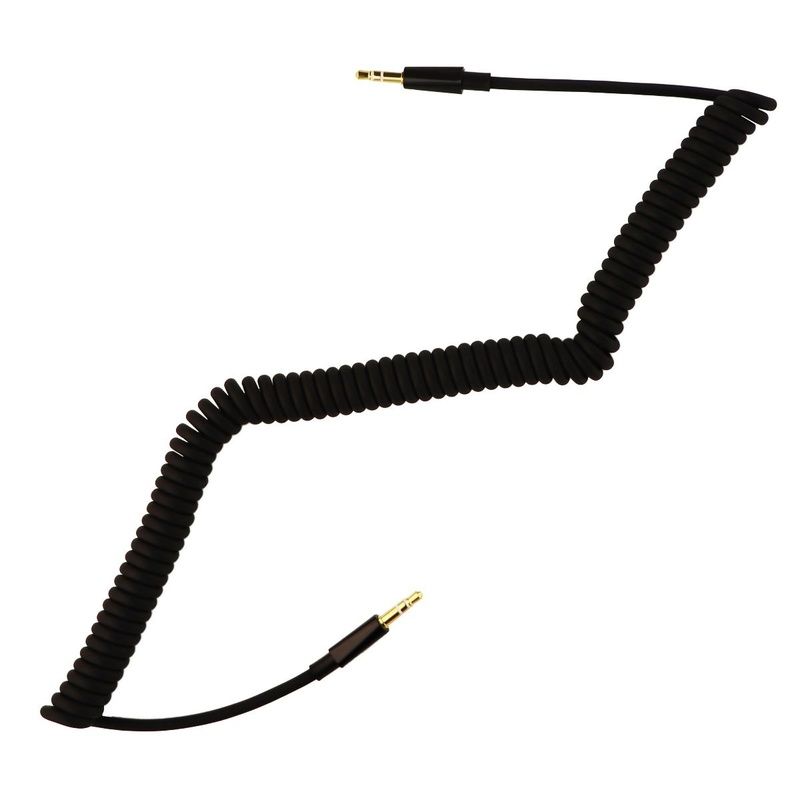 From Insignia products, A Universal 9-Foot Coiled Audio Cable with Premium 3.5mm Connectors. 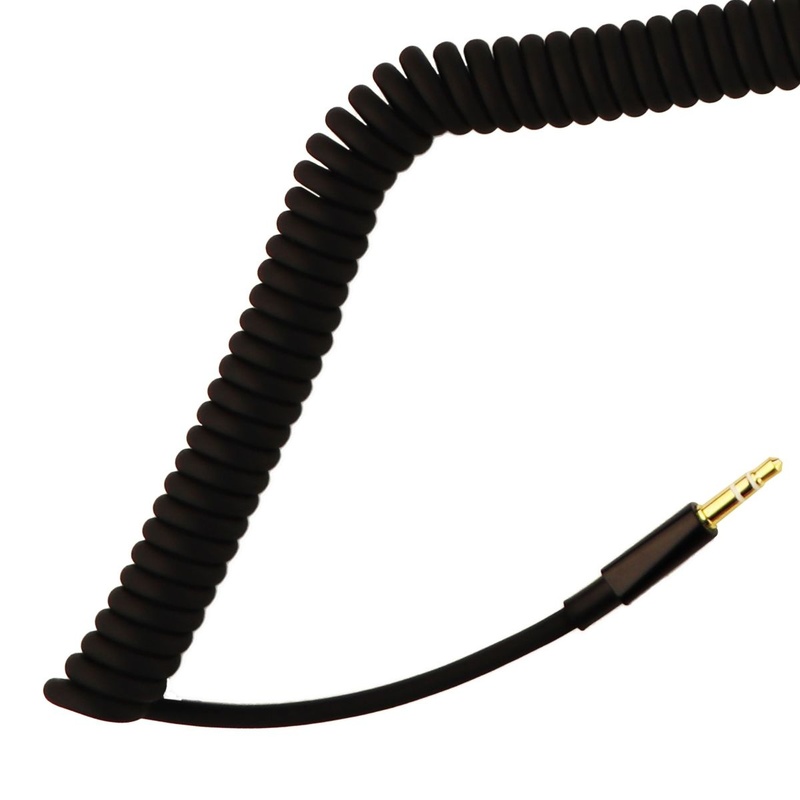 Black cable with glossy black connectors. - High-Grade materials and contacts to provide unparalleled audio quality. - Easily connects your cell phone, tablet, or MP3 player to your car or home stereo, portable speakers, or computer. - 3.5mm male-to-3.5mm male connection. - TPU jacket Ensures durability. 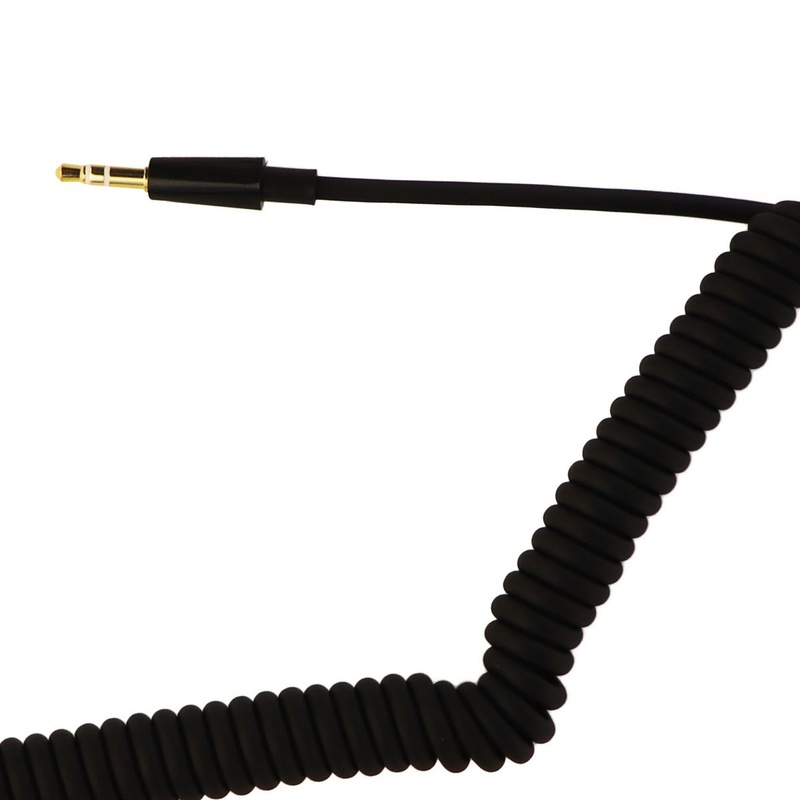 - Cord sits at about 2'-Foot in length while relaxed and stretches up to 9'-Foot length, Allows for versatile placement and freedom of movement while the music is playing.